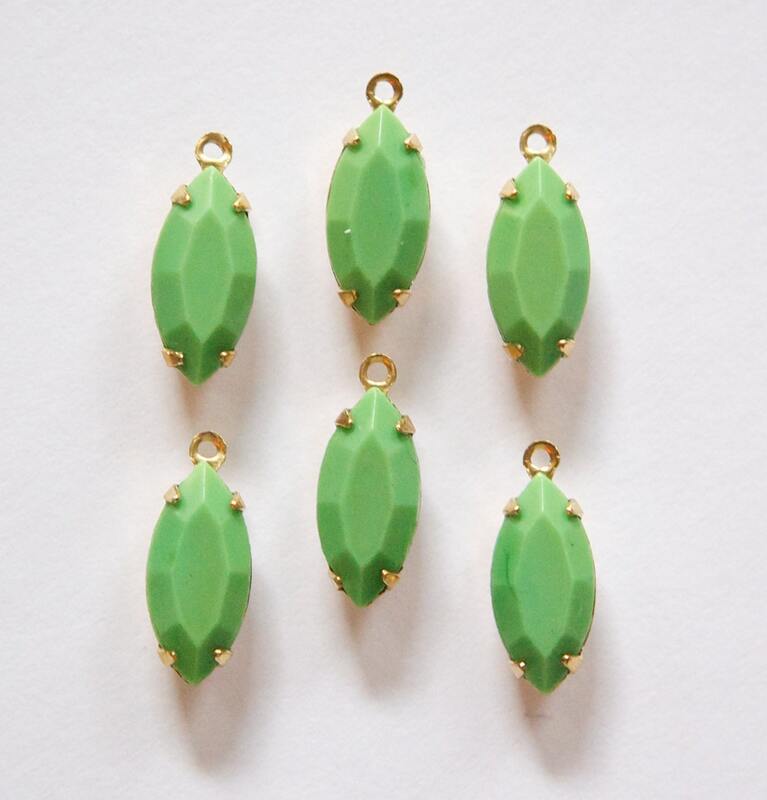 These are vintage faceted green glass stones. These are set a in one loop open back brass setting. The stones measure 15x7mm. You will receive 6 pieces. beautiful! Thank you so much! All items were amazing, well packaged and arrived in a short time! I love your stuff, and I am so happy you had the easter discount going on!! I will certainly be back!